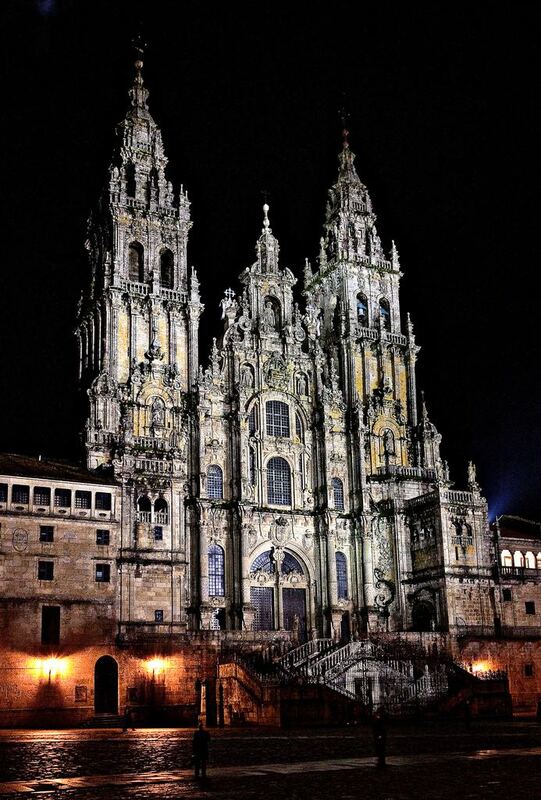 After Rome and Jerusalem, Santiago de Compostela is the most important Christian place of pilgrimage. The relics of the apostle Saint James are said to be kept here and the cathedral is duly impressive. You have probably heard about the enormous thurible (called a botafumeiro) that flies over the heads of the pilgrims at high speed – it really has to be seen to be believed. The granite-faced Romanesque structure dates from 1075 but it’s the later add-ons such as the Baroque façade on Obradoiro Square that most of us associate with this cathedral. Being a university city, Santiago is buzzing all year round. We love to people-watch from the Parador which was once an inn and hospital for pilgrims. It’s views of the cathedral are unbeatable. When you want to stretch your legs, the city’s Old Quarter is bustling with little shops, cafés and great bars offering many tasty treats and mouth-watering seafood restaurants. You can read much more about Galicia here. 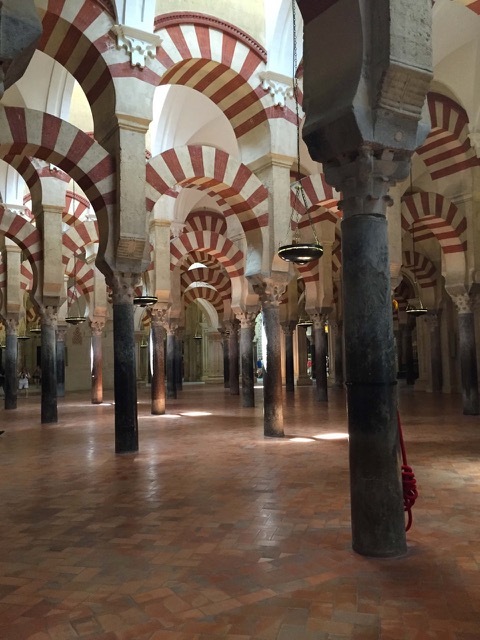 The Cathedral of Cordoba – also known as the Mosque or Mezquita is without doubt one of the most famous constructions in all of Spain. A Catholic church stood first on this site and that building was divided into Muslim and Christian sections until the structure was levelled in the second half of the 8th century by Abd ar-Rahman. The current mosque was build and over the centuries, many additions and extensions were made. Following the Christian conquest by Kind Ferdinand III of Castile it was consecrated as a Cathedral in 1236. Significant re-designs took place including the building of a church with the church and the 40 or so side chapels. But it is still the 856 columns with the red and white arches, the golden mihrab and the enormous prayer hall that make this such an unusual and outstanding place to visit. The cathedral became a World Heritage Site in 1984. Outside the cathedral walls you can experience more of what was once the great Moorish capital of Al Andalus. On the foodie side of things, you should try some of Cordoba’s delicious local dishes such as salmorejo (a chilled tomato soup), fried aubergine and slow-cooked oxtail stews. We enjoy touring a few patios or courtyard gardens and recommend visiting the only remaining synagogue dating from 1315 in the old Jewish quarter also. 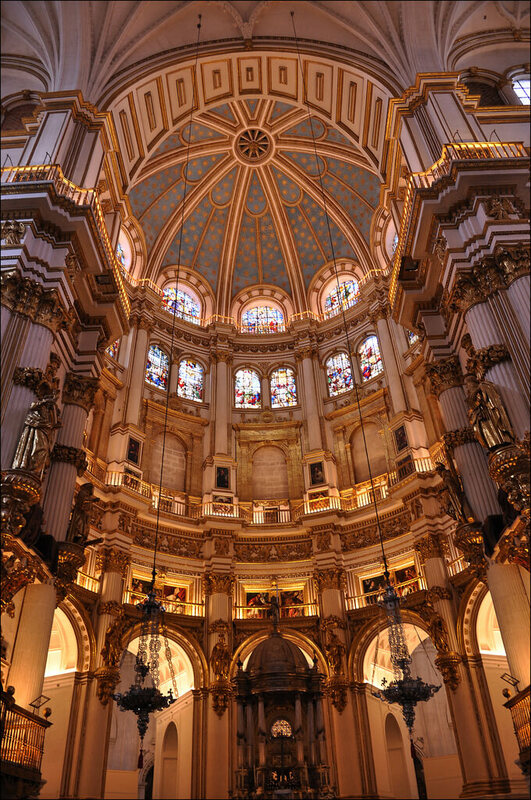 We’re not exaggerating when we say the Santa Maria Cathedral is huge. And unlike some of the other large cathedrals on this list, a visit to this Gothic gem demands significant time and concentration so make sure you fuel up properly before you start. Construction started on the current structure in 1221 and it began operating as a working church in 1260 when the high altar was consecrated. Building continued for another three centuries until 1567. What makes this cathedral one of Spain’s best-loved churches? For some it’s a museum to Gothic architecture. 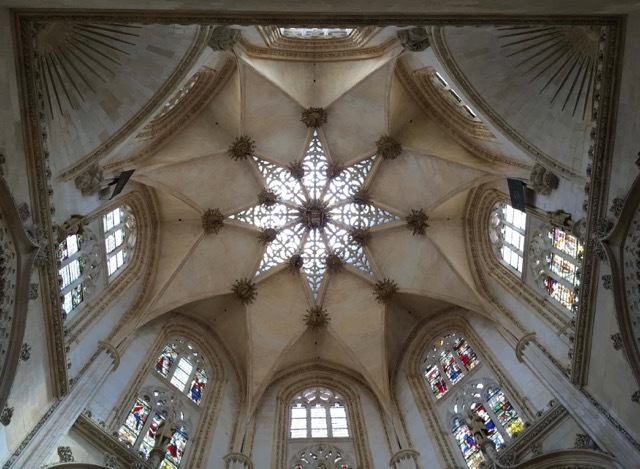 For others it’s not the style but the content – from stunning carvings, the golden staircase, the stained glass, the cupola, El Cid’s tomb and the Star of David – all are stunning. The scale and craftsmanship throughout this UNESCO-listed church is both humbling and overwhelming. No matter how much you re-fuelled before, you’ll need a hearty meal afterwards and you’ll find lots of options near the city’s Plaza Mayor. Make sure to try the delicious slow-cooked stews and of course, the local black pudding called ‘morcilla’ and the Ribera del Duero wines. Keep an eye out for Camino pilgrims as Burgos is on the French Way. If you feel like a hike, walk up to the Castle where you’ll have great views of the city and its many spires and learn about the struggle between those inside the city walls and outside. It’s impossible not to succumb to the beauty of the Cathedral of Burgos. After your visit, enjoy the nearby streets and squares with countless cafes, restaurants and taverns. Make sure to try some grilled fish from the coast and Iberian jamon from the region. And if you’re thirsty for something local, why not try a ‘tinto de verano’ or a ‘manzanilla’ sherry? You can read about our highly recommend food tours in the city here. 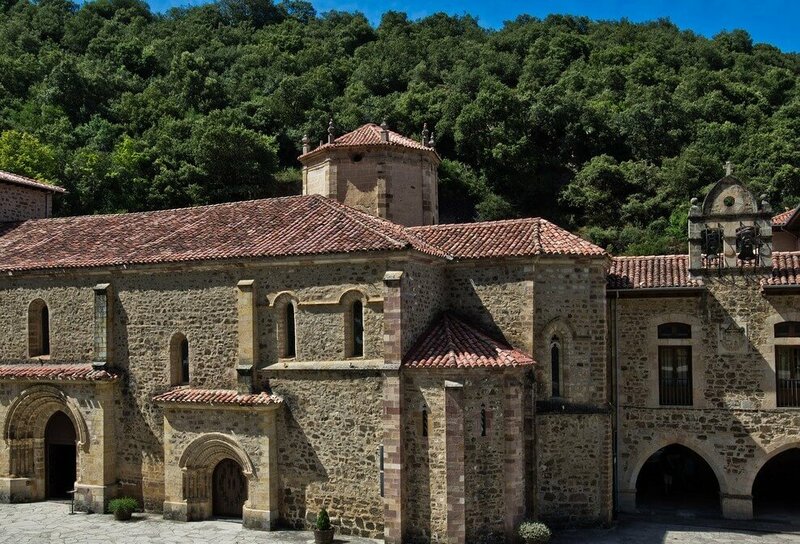 If you have an interest in imposing monasteries, you must visit Phillip II’s UNESCO-listed monastery and palace completed in 1584 which is located just 45 km from Madrid city. It was designed to showcase the monarch, the country and the might of Catholicism to the rest of the world. Nothing can prepare you for the scale of this site – its architectural and artistic wealth is significant. Where else will you find 15 cloisters, 13 oratories, 86 staircases, 88 fountains, 9 towers, 73 sculptures, 40,000 books and 1,600+ paintings? 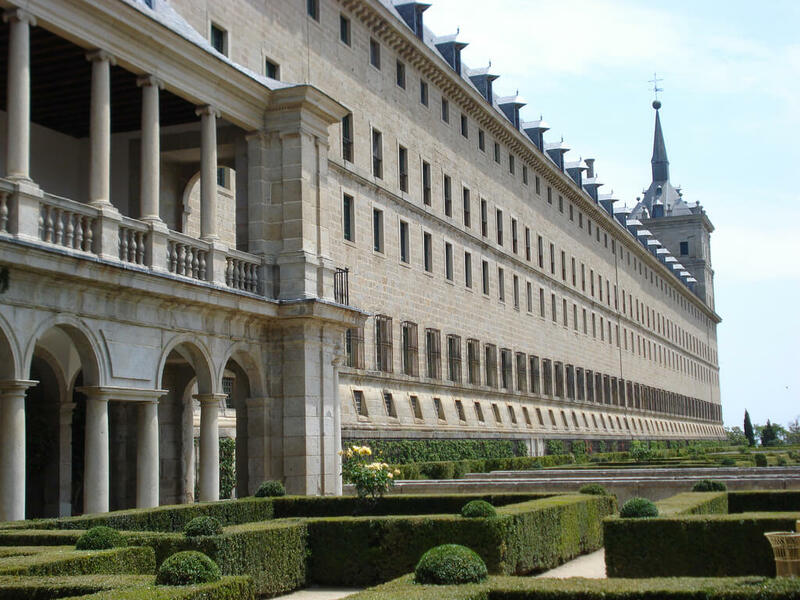 In spite of the scale and size, El Escorial’s beauty and sense of solitude can still be felt today. At the centre of the complex is the Basilica, which is heavily Baroque in style. Spend some time at the Royal Pantheon – which is a fascinating way to learn of the Spanish Hapsburg and Bourbon royal families. 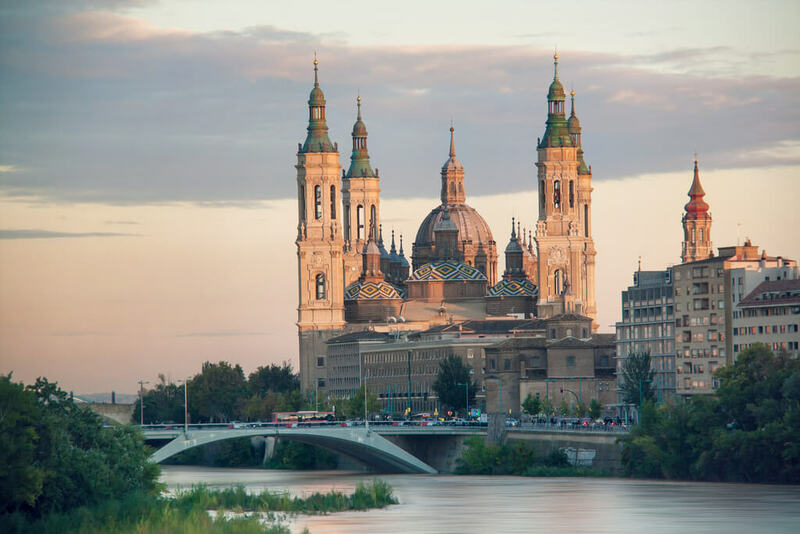 Best known for its university that dates from the 12th century, it’s also home to two amazing cathedrals that sit side by side and its many charming churches and convents make it a must-see in Spain. A stone’s throw from the Plaza Mayor, one of the finest of Spain’s squares, you’ll find the UNESCO-listed adjoining 12th and 16th century cathedrals. In the New Cathedral, you’ll be drawn to the elaborate work by Churriguera plus the stained glass and cupula. And in the Old Cathedral, you’ll experience the Romanesque style, the Gallo Tower and the reredos, murals, tombs and chapels. When you leave, do spend some time examining the facade, where a keen eye will locate some unusual carvings. Did somebody mention a spaceman? After a break for caffeine or whatever else you fancy (try one of the many faculty buildings cafes if you are there in term time) make your way past the House of Shells to the Jesuit College called the Pontificia University. Climb the Scala Coeli Torres de la Clerecia – an open tower from where you can pick out all the church spires in the city. Back down on terra-firma, if you have time for another church, sneak a peek inside the Convent of Saint Stephen (San Esteban) which is a beautiful Dominican monastery from the 16th century. You’ll enjoy the Churriguera altarpiece and the cloisters are also great – and you’ll hear about former resident Christopher Colombus. Before you leave the city, remember to pick up some of the nun’s almond pastries at the Conventos de las Duenas shop. If you are looking for a good driving route in this area – have a look at our suggested driving tour from Madrid to Porto here. Unusually, it’s not the 13th century Gothic cathedral situated in the Barri Gotic (Gothic Quarter) that is UNESCO-listed. We do recommend you visit the cathedral (kids will love the gargoyles and the ducks in the cloister). But the city’s most famous church here is not the cathedral, it’s the Sagrada Familia designed by Gaudi, Spain’s best-known architect (1852-1926). The Sagrada Familia is one of the most famous and spectacular of Gaudi’s works. Gaudi took on the project in 1883 and worked here fulltime from 1915 until his death in 1926 – even living on site in the year leading up to his passing. So personal was this project to him, that his remains are buried in the crypt. Work continues to this day on the building and it’s hoped that by 2026, the building will be completed to mark the centenary of his death. Not just a landmark for the city, this building is a testament to the creativity of Gaudi. Art nouveau in style (or modernist as it is known here) with lashings of Gaudi’s own personality and drive, you should arrive early as this is a very busy attraction. Make sure to enjoy the Nativity and Glory façades, the apse with its stained glass, the tower and the crypt. Pre-book your ticket, as the queues are endless. You can read more about Gaudi’s Barcelona here. You’ve probably heard about the Spanish Inquisition (thank you Monty Python!). Here in Granada you can see for yourself the before and after of these turbulent years. 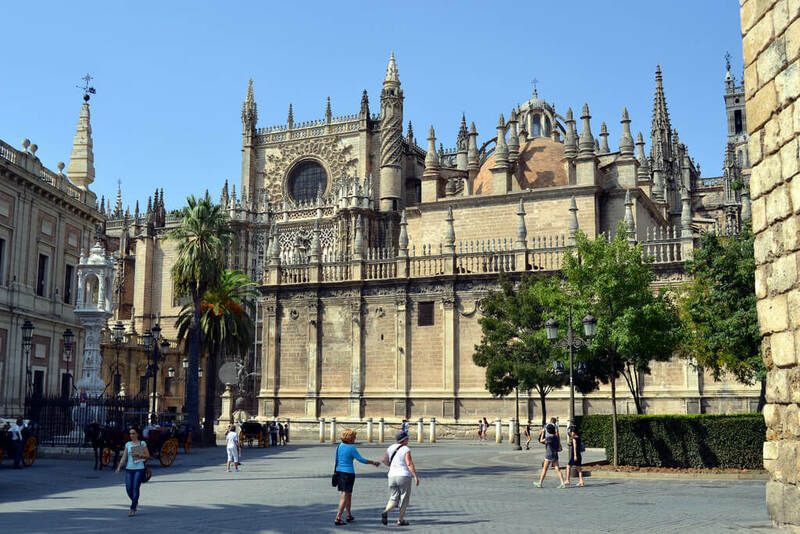 Working in reverse chronological order you should start by visiting the city’s Gothic and Renaissance-influenced cathedral, which was probably Spain’s first cathedral to be funded after the unification of the country. Work began on the cathedral in the early 1500’s although it wasn’t completed until 1702. Beside the cathedral is the Royal Chapel from 1507 that contains the remains of the Catholic Monarchs, Fernando and Isabella, who re-conquered and unified Spain in 1492. When they arrived into Granada in January of that year, the city had been over two centuries under Muslim rule. The Carrera marble sarcophagi are of interest but we prefer the simplicity of the lead coffins of the Spanish Royals below in the crypt. Finally, you should see what the Catholic Monarchs re-conquered. Granada’s Alhambra Palace and adjoining Generalife gardens offer a glimpse of the sophistication and elegance of the Nasrid dynasty that controlled the Emirate of Granada from 1239 until it was ousted by Fernando and Isabella. It’s unfair to compare a leader’s private residence with a public place of worship but it’s interesting to see how contrasting the styles were. Keep a lookout for the Roman-influenced revisions at the Alhambra embarked upon in 1526 by the Catholic Kings grandson, King Charles V, who wanted to demonstrate the triumph of Christianity over Islam at the former citadel. Digest all you have seen along with a very pleasant Moroccan meal in the narrow cobblestoned Albaicin neighbourhood of the city which not only enjoys great views of the Alhambra; its layout harks back to the city’s Medieval Moorish past. Read our guide to visiting the Alhambra here. 9 Want to Squeeze in a Few More? 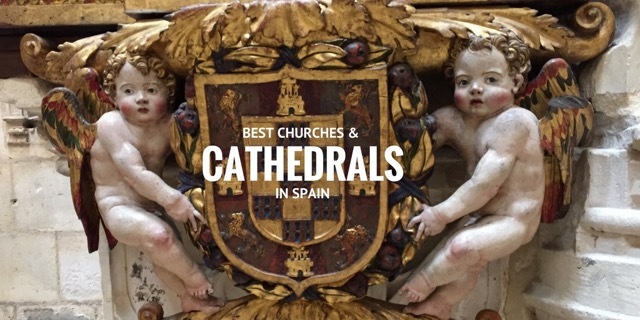 With nearly 100 cathedrals and co-cathedrals in Spain, you’ve a lot to choose from. You might want to check out the cathedrals of Zaragoza, Toledo, Leon or Cadiz. And we love Guadalupe Monastery in Extremadura. The Yuso and Suso monasteries in La Rioja take you right back to the 6th century and the first written item of literature in Castillian. 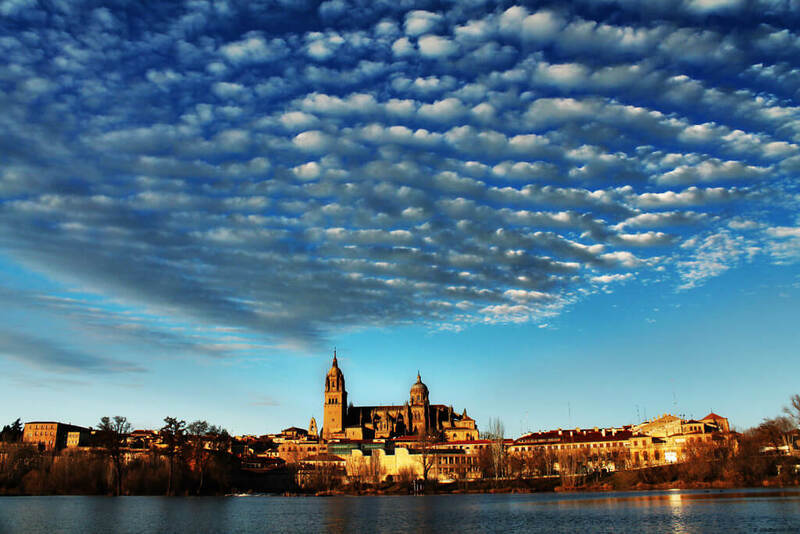 Or how about the many many churches and cathedrals to explore along the Camino de Santiago which has been awarded the title of a World Heritage Site? Before we finish up here, we want to remind you that when visiting places of worship in Spain, you may be turned away if you are not dressed appropriately. This applies especially when a religious service is taking place. Make sure to take off any hats or caps and ensure your shoulders are covered. Visible swimwear is a big ‘no-no’. Many street traders cater for any challenging wardrobe moments – for example beside Barcelona’s cathedral you’ll find a stall nearby selling scarves and pashminas that you can use to cover up your shoulders. 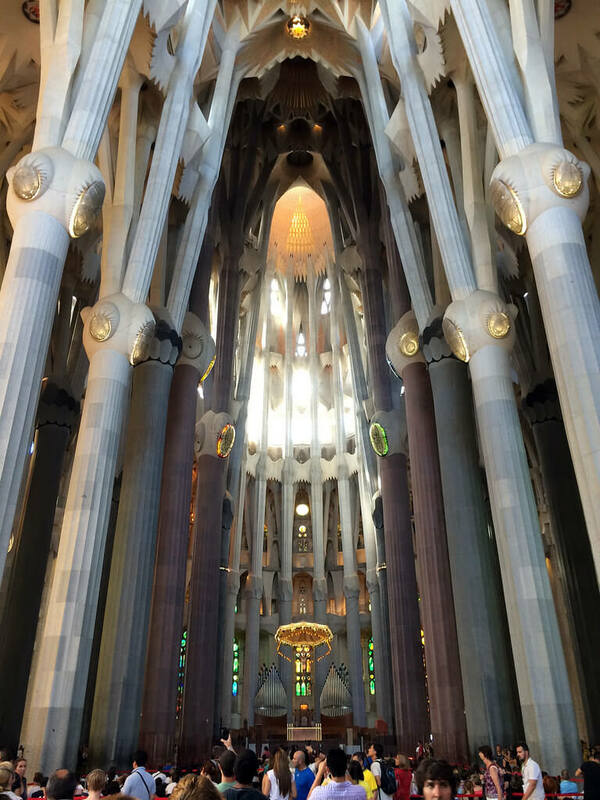 The more touristy monuments such as the Sagrada Familia will not enforce a dress code. Pre-book. Pre-book. Pre-book. Should we say it again? Pre-booking is essential for Spain’s best known churches and monuments. You can read why here. We would also recommend a pre-booked guided tour to get the most from the visit and can arrange personalised guided tours as well as pre-booked entrance tickets and transfers from your hotel in conjunction with all Totally Spain custom holidays and vacations. Posted in Barcelona, Cantabria, Castilla Leon, Cordoba, Gaudí, Granada, Insider Spain Guides, Popular Posts, Santiago de Compostela, Seville and tagged Burgos Cathedral, dress code, El Escorial, Gaudi, Granada Cathedral, guided tours, Mezquita Cordoba, pre-booking, Sagrada Familia, Salamanca Cathedral, Santiago de Compostela, Santo Toribio, Seville Cathedral, Zaragoza Cathedral.